Weppler Vineyards produces wines in small quantities and is passionately involved in every step of the process, We strive to produce a wine of exceptional complexity, structure and ultimately, quality. One that we are proud to enjoy ourselves and even more proud to share with our friends. We hope you agree. 2012 marked the start of wine production with 50 cases of Cabernet Sauvignon being produced from the small vineyard on our guest house property. This was our first property purchased in 2012 and the almost 300 Cabernet vines planted, started our minds racing as to the possibilities. Towards the end of 2012 we closed on the purchase of the neighboring property containing a larger home and 2 acres of Cabernet Sauvignon vines. We still maintain our home in Indiana but when in Calistoga we stay here. The 2013 harvest marked the first vintage from both vineyards combined to yield around 500 cases. Since then, our 2014 vintage yielded around 500 cases and our 2015 vintage around 325 cases, with the 2014 still in barrel and the 2015 just now going into barrel. The start of the 2015 growing season was early and hence experienced unusually cold rainy weather that took its toll on the formation of grape clusters and the yield. Our goal is to produce wines of exceptional quality, traditionally handcrafted. This means that all along the process we are focused on doing what is necessary to produce a wine that meets this goal. Whether in the vineyard or in the winery we will invest whatever time and money is required to produce a wine that is of the quality we are proud to put our name on. In the vineyard, we meticulously maintain the vines paying attention to many small details so as to grow grapes as perfectly as possible for our style of Cabernet. Our vineyard manager is in the vineyard for hours every week during the growing season. The season starts with pruning the vines in such a way as to be certain the clusters are spaced and open for maximum light and air and unwanted shoots known as suckers are removed. The canopy is managed so that the right amount of shade is available during the grapes early stages of development to protect them from Calistoga’s hot summer sun. As we approach harvest, leaves are gradually removed so as to expose the almost ripe grapes to increased sunshine which intensifies the flavor, deepens and darkens the color and softens the texture of the skins. At harvest, we walk the vineyard to identify areas ripening ahead of others so as to schedule picking only areas that are perfectly ripe. It is likely that our small two acre vineyard will be picked three to four times over a 10 – 14 day period. Many wineries would pick that small size of vineyard all at once based on some targeted “average” ripeness. At the winery, each pick is fermented in its own small fermentation tank. These small tanks are open top fermenters so that we can perform our twice daily punch downs the old fashioned way. Punching down is a term used to describe circulating the skins within the juice given that the skins float to the top forming a cap on top of the juice. We punch the cap down into the juice using a long pole with a large stainless steel disk attached to the bottom of it. 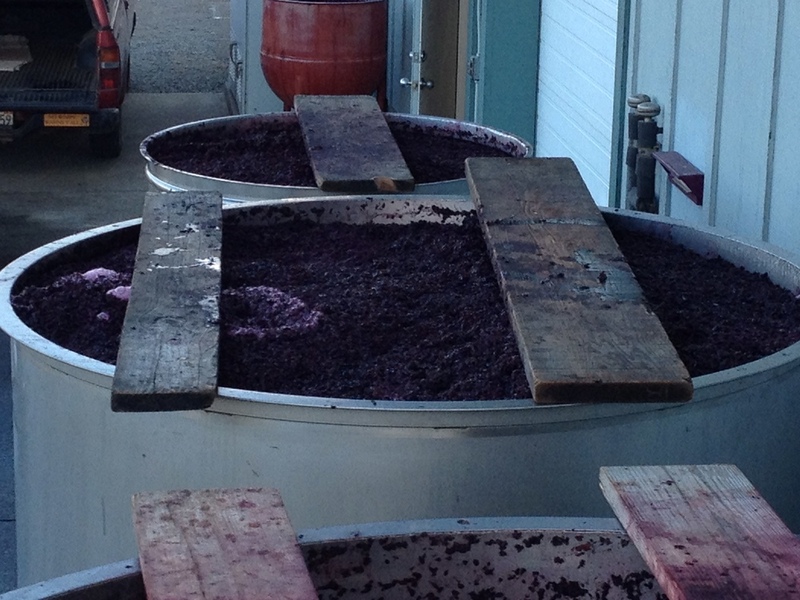 Many wineries simply pump the juice over the top of the skins to circulate it. However, while more laborious, our method better agitates the juice intensifying the juice’s contact with the skins so as to encourage a greater extraction of flavor and color from the skins. To foster a softer tannin structure to the wine, we drain and press the skins when fermentation is almost complete rather than 100% complete and then finish fermentation without the skins. The wine will spend 18 – 20 months in a combination of new and used french oak barrels. The 2013 Cabernet Sauvignon, bottled in July, 2015, is ready to drink now, especially if you let this one breathe for an hour. It will keep opening up while in the glass. Deeper and darker in color than the 2012, this wine was aged in 55% new french oak and exhibits all the characteristics of a Napa Valley Cabernet. Even at this early stage the wine, like the 2012, shows soft fruit tannins and is very silky in texture. The tannins from the oak barrels are just noticeable enough without overpowering the fruit. Like the 2012 the nose and taste are of dark cherry, ripe blackberries and vanilla but the 2013 comes with a hint of tobacco and oak. 515 cases produced. $60/ bottle. Chick here to download tasting notes and additional information. Our wines are sold with title passing and delivery to the buyer in California. We are happy to work with your shipper to help complete delivery to your location. Should you not already have a shipper of choice, we have partnered with a shipping company that ships to all 50 states and parts of Canada that we are happy to work with directly to facilitate delivery of your order. Download our order form and email completed form to wepplervineyards@gmail.com. 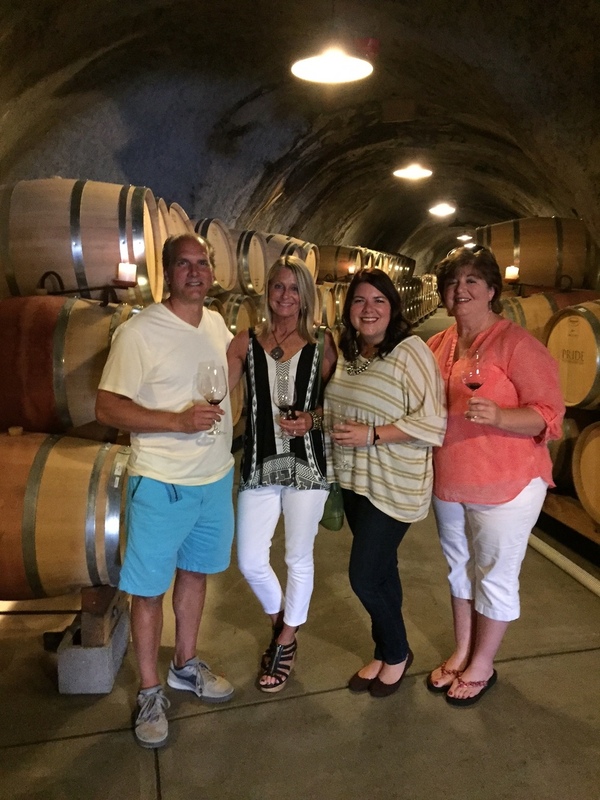 Become a Member of the Weppler Vineyards Wine Club and in April, beginning in 2017 and annually thereafter, you will receive three, six, or twelve bottles. This annual commitment assures you of an allocation of our limited production wines along with receiving a 25% discount on all wine purchases. Further, as the number of wine club members grows, we will be able to gauge how much wine to produce and when to bring on new varietals and blends. Basically, the more folks on the list the more wine and the more variety we can make. So your support of and loyalty to Weppler Vineyards through joining the wine club is so appreciated. You are free, at any time, to increase or decrease the number of bottles you wish to receive. Simply let us know. Your membership may also be suspended or cancelled by you at any time as you feel necessary. Sign up for the Weppler Vineyards wine club and begin receiving a 25% discount on all wine purchases by submitting the below information (for security reasons credit card information will be obtained from you over the phone). In addition, you will also be added to our newsletter list so no need to also subscribe to that below. Many of you have already indicated your interest in becoming a member and we thank you for that. For those of you who already have, would you also please complete this below information to formalize the process (and don’t worry, no matter when you complete this process, we will assign you those early member numbers). Please Note: You will be contacted by phone to obtain your credit card information. Please choose the number of bottles you wish to receive annually. Thank you for joining the Weppler Vineyards Wine Club, your support is so appreciated! You will receive a confirmation via email from us soon. Our newsletter will be coming from wepplervineyards@gmail.com, so please be sure to add that to your safe email list. © 2016 Weppler Vineyards. All right reserved.